Brace yourselves for a gas war: Europe is going after Russia's mighty energy firm Gazprom. The European Union has filed antitrust charges against the world's biggest gas producer. It is accusing Gazprom (GZPFY) of using its dominant position to manipulate prices and hinder the free flow of gas across the continent. 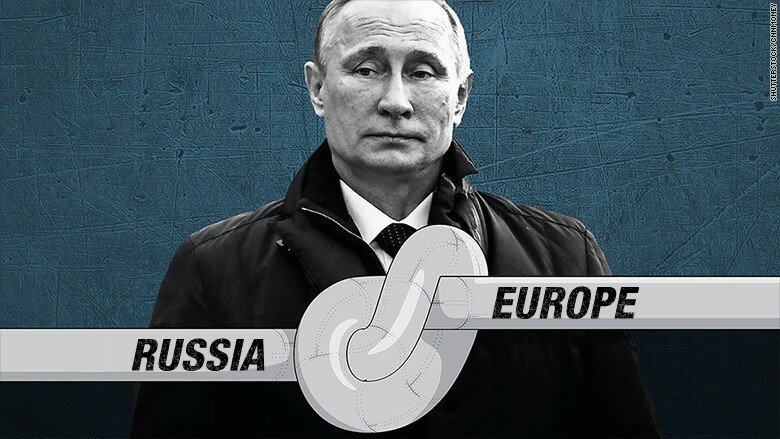 The bold move is likely to further sour Europe's relationship with Russia, already hurt badly by the crisis in Ukraine. "Gas is an essential commodity in our daily life: it heats our homes, we use it for cooking and to produce electricity. Maintaining fair competition in European gas markets is therefore of utmost importance," said Europe's top anti-trust official, Margrethe Vestager. Gazprom has rejected the claims, calling them unfounded. The company said in a statement to CNN that it wants to resolve the issue with an agreement between the Russian government and the EU. The lawsuit against Gazprom has been in the works for nearly three years. Europe has proceeded cautiously, because it is dependent on Russian gas. Moscow has used gas as a weapon before, cutting off supplies to Ukraine three times in the last decade. About a third of the EU's natural gas comes from Russia and 15% flows directly through Ukraine. Europe's gas dependency on Russia has also complicated the West's response to the crisis in Ukraine -- some countries have been reluctant to push for tough sanctions against Moscow in the past due to fears of an energy war. Brussels was reportedly ready to press charges last summer, but held off in order not to undermine negotiations on a ceasefire in Ukraine. Europe launched the battle against Gazprom just a week after grabbing the world's attention by filing antitrust charges against Google. 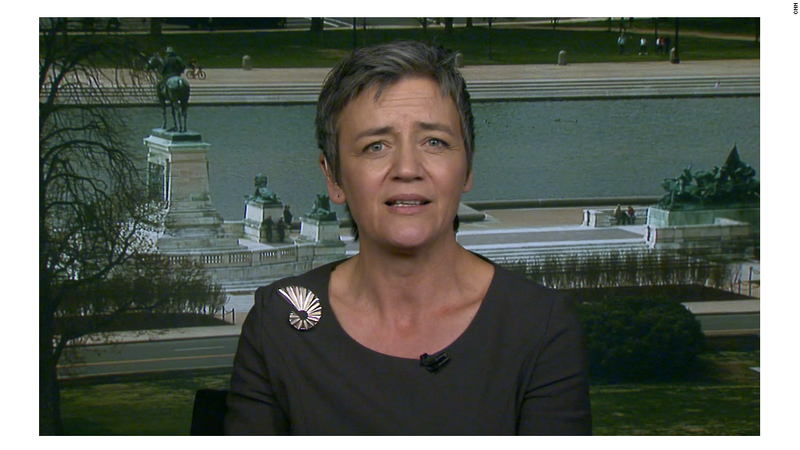 But Vestager denied Europe was going after big foreign companies for political reasons. "These cases are not political. They are competition cases, built on facts. Doing business in Europe implies complying with European laws," she said. The EU accuses Gazprom of preventing gas from flowing freely between eight Central and Eastern European countries, preventing them from buying imported gas from each other at lower prices. Some Eastern European countries have previously tried to help Ukraine with gas supplies by sending their gas back after Russia threatened Kiev with turning the taps off. State-controlled Gazprom (GZPFY) is the crown jewel of Russia's economy. Its activities alone made up about 8% of Russian GDP in 2013. Low oil prices and the weak ruble have taken their toll on Gazprom, which saw its net profit fall 70% to 189 billion rubles ($3.3 billion) in 2014. Gazprom now has 12 weeks to respond to the accusations. If the EU proves its case, it could charge Gazprom a fine of up to 10% of its global turnover. The company's shares were trading 1.9% lower in Moscow. Opinion: Why is the West subsidizing Russia?